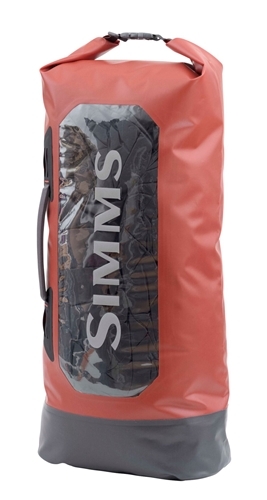 The Simms Dry Creek Roll Top Bag is made with a super durable construction and maximum tear resistance to protect your gear. This newer model Dry Creek Roll Top will transport your valuables and dry goods via it's waterproof storage with the utmost of protection. There is no need to fear any loss when the storm clouds come rolling in and it looks like you're going to have to weather a down pour. CAPACITY: 40 L, 2457 cu. in.